The Dividist Papers: Read 'em and weep. USA "all in" with a bad hand. Read 'em and weep. 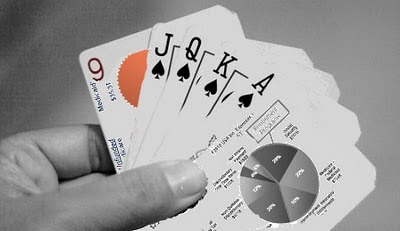 USA "all in" with a bad hand. For anyone interested in doing a deep dive into the state of the financial budget crisis facing the United States, you cannot do better than Mary Meeker's recently released report "USA Inc." Published under the auspices of venture capitalist Kleiner Perkins, it is detailed and comprehensive, yet clear, understandable and served up in digestible bites. It is well worth the time and effort. "Our country is in deep financial trouble. Federal, state and local governments are deep in debt yet continue to spend beyond their means, seemingly unable to stop. Our current path is simply unsustainable. What to do? determine the right timing to deliver the solutions. USA Inc. uses each of these guideposts, and more; it is full of ideas that can help us build a better future for our children and our country." Highly recommended. Every American should take the time to dig into this document. The Dividist skimmed it and was blown away. He expects to return often for deeper insights into the problem and as a reference for future posts. At over 250 pages, with hundreds of clear and comprehensive graphs, it is impossible to do this work justice in a blog post. The Dividist is often (justifiably) accused of preferring thousands of words when a picture or a pithy paragraph would suffice. At least he is not the only one. In an attempt at exercising a little pontification discipline, in this post we will simply deal out a 5 card poker hand pulled from the hundreds in this presentation deck. This busted hand should have been folded as soon as it was dealt. No one is buying the bluff now. Time to throw it in, cut the losses, and reshuffle. 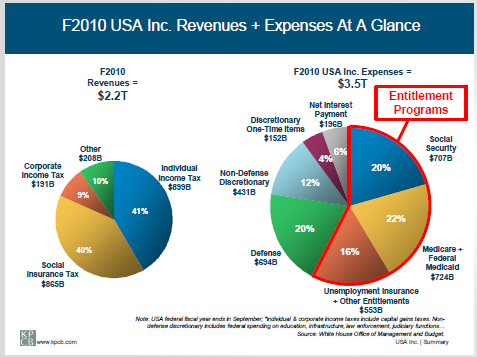 Henry Blodgett says this is the only chart you need to understand why we are screwed. We cannot keep spending $5 dollars for every $3 we bring in. 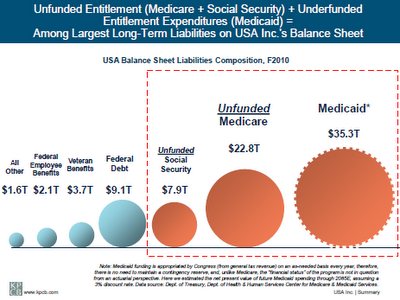 It's the entitlements stupid. 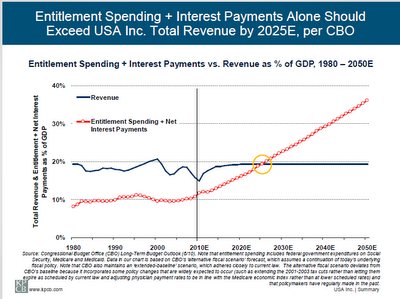 Spending is out of control and by 2025, entitlements plus net interest payments will absorb all of the USA's revenue. Yes, that is correct. 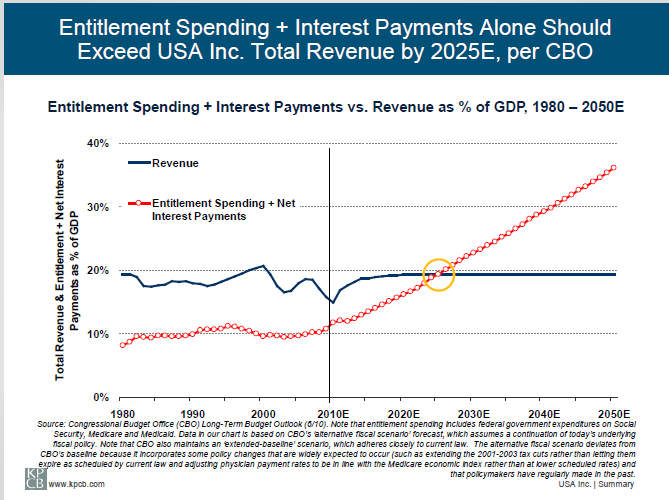 In less than 15 years all taxes will go to interest and entitlements. As Mike Shedlock says "If that is not a shocking state of affairs, what is?" We have to grow, but we cannot just grow our way out of the problem this time, as that presumption requires wildly unrealistic growth assumptions. Taxing the rich cannot solve the problem. Taxing everyone does not solve the problem. 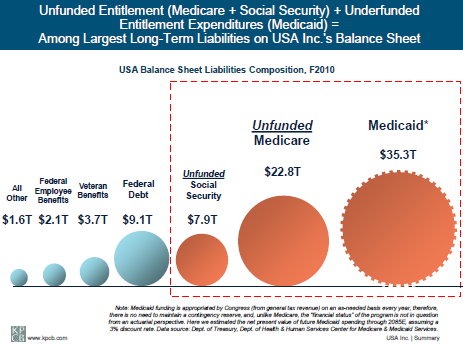 Unfunded liabilities are a crushing burden. We've got to lighten the load. Net net. The Meeker solution, unsurprisingly, is all of the above. Spending must be slashed, unfunded entitlement liabilities must be reduced dramatically, and revenue must be raised. Yes, tax rates on the rich must go up, tax loopholes must close, and the tax base must also be broadened. Make no mistake. There is something for everyone to dislike in her recommendations - right, left and center. 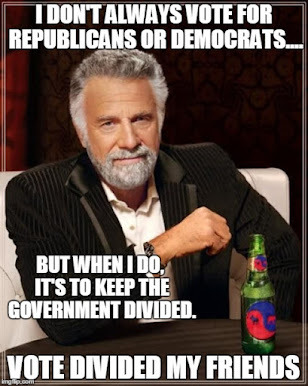 The Dividist is no exception. Meeker actually advocates increases in Infrastructure, Education and Defense spending while slashing entitlements. The Dividist thinks nothing should be spared. No matter. 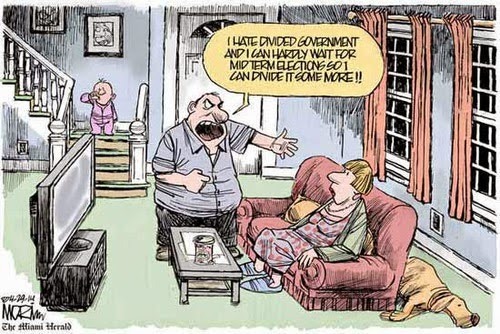 The Dividist is in. Just downloaded the report. Should make good "on watch" reading during our next ocean passage. This may convince me to stay away a bit longer. I wouldn't recommend it while on watch. The report has certain sedative qualities.